45% of Australians don’t have a Will! We’ve created this quick poll using some statements that we’ve heard over the years. So if you also don’t have a Will, let us know why. On 19 August 2011, we’ll be running a free information session on Wills and estate planning at the Harris Park Community Centre as part of Will Awareness Day. Come along and you’ll find that writing a Will isn’t as difficult as it may seem, doesn’t cost as much as you thought, and doesn’t take a lot of time to do right (especially with professional advice and guidance). A Will is probably one of the most important documents you’ll ever write in your life, and while you’ll never be around to regret not writing one, your family and loved ones that you leave behind will. Please contact us for more information regarding this article or our estate services. With our offices conveniently located in Parramatta, the geographic centre of the Sydney metropolitan area, our public notary assists clients from across all suburbs of Sydney and beyond. This website is maintained by Phang Legal, an incorporated legal practice in Parramatta providing estate services to clients across Sydney. Extensive experience and low-cost fixed prices ensures quality services and satisfied clients. 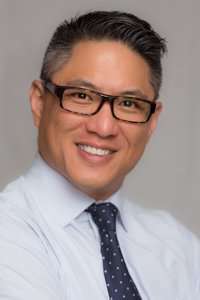 Ern Phang is the principal solicitor and director of Phang Legal. The post 45% of Australians don’t have a Will! appeared first on Wills & Probate.